So I'm cheating a little bit. I've already shared some of this with my Wow Me Wednesday post. But I have wanted to link up with Wordless Wednesday again for a while, so I'm committing bloggy sin and posting twice in one day! I'm also being naughty and posting more than one photo. My class theme this year is blue/yellow bricks. I'm totally in love with the papers from Ashley Hughes, and the scrappy kids from Graphics from the Pond. My question - what labels will I need? I've forgotten what I might need after being lazy this summer. 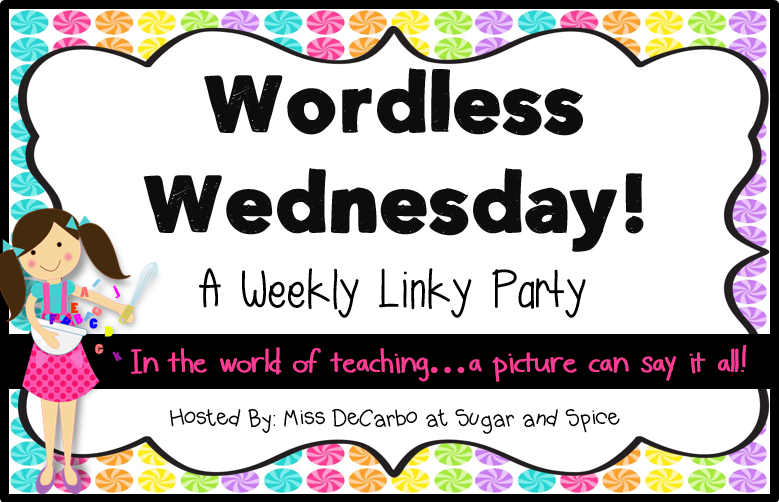 Check out the other "Wordless Wednesday" posts over with Miss DeCarbo. 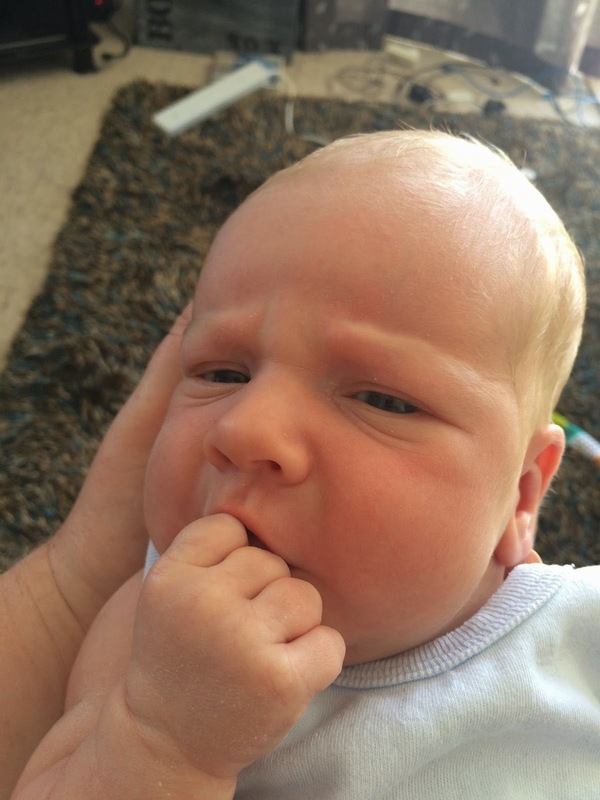 So I've been a bad blogger - Sorry! I've been enjoying the last little bit of my summer before having to head back to school for the new year. Here in New Zealand we only get 6 weeks for summer - but really, that's enough! I just wish I lived closer to my parents so I could go swimming after school!! I'm in full swing getting everything ready for the new year. I've decided that my class theme this year is going to be "Yellow/Blue bricks". Check out what I have so far! I am IN LOVE with the Scrappy kids clip art!!! And the back grounds from Ashley Hughes are totally my go to right now!! You know you've had a good summer when you can't remember what you should write on all the labels for the class!! haha. I managed to give each kid in my new class their own scrappy kid avatar. My aim is to get them to use this whenever they post something somewhere so that we have a visual reminder of who did it. Totally fun! 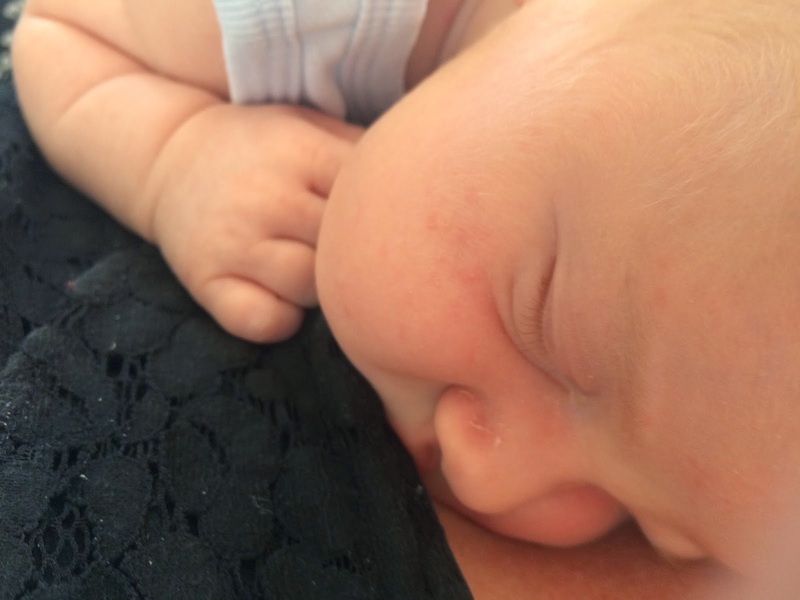 In other, not related to school, news - I have so enjoyed my cuddle time with my best friend's new baby Theo. He is such an adorable little kid! 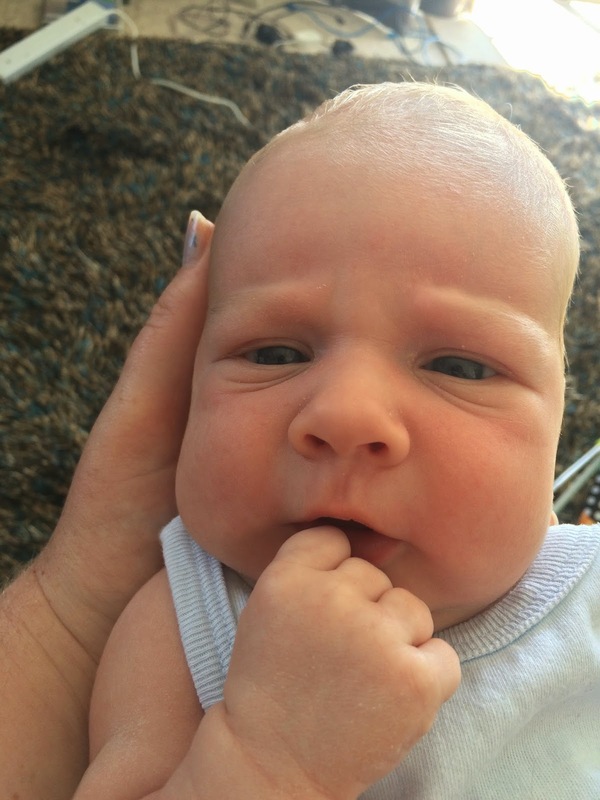 Two weeks old yesterday, and I'm already having withdrawls from not being able to cuddle him everyday! Head on over to The Literacy Ladder and link up with something that YOU think is WOW worthy. In the meantime - tell me some of the things I should have as labels in my new class. I've forgotten!! Why hello there dear friends! It's been a while since I posted something that wasn't a linky party! I'm going to share something really fun with you today! 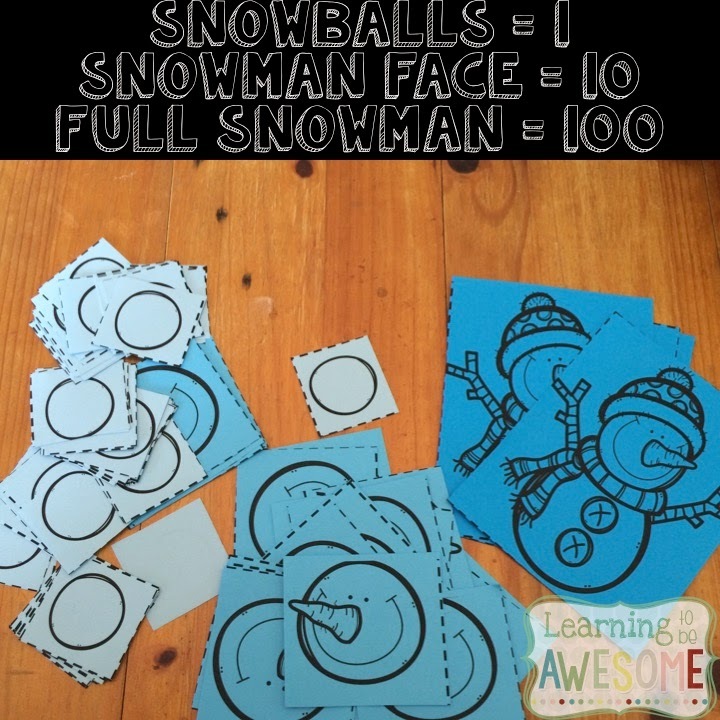 It's a super cute place value game for those children in your class that need to work on the canon concept of trading 10 ones for 1 ten! I LOVE this game, and you've got a chance to win it later on, so stay tuned!! This game is great to play with students who are learning place value to 100. 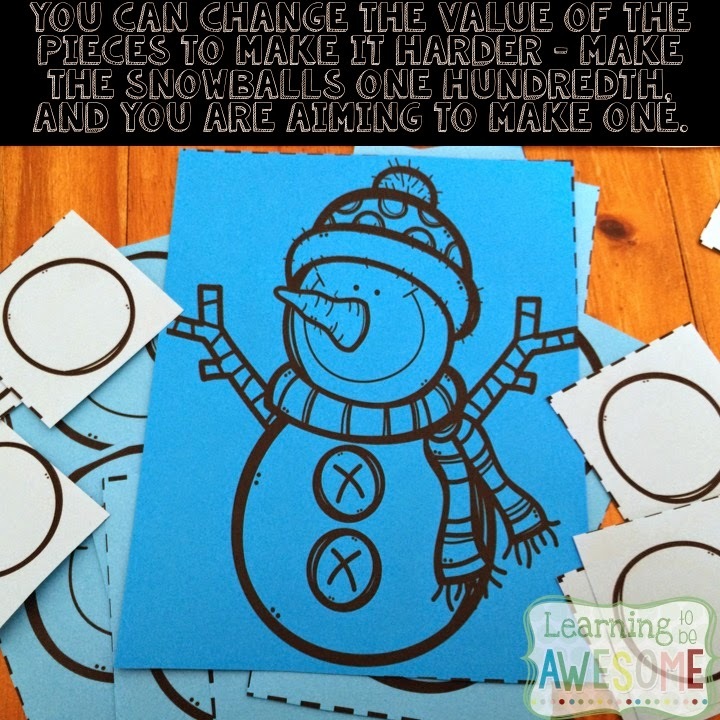 My students love playing it all year round (I have several different themes you can choose from). Everything you could possibly need is included in this download. Ink friendly game pieces make for a fun game that teachers and students alike will enjoy! 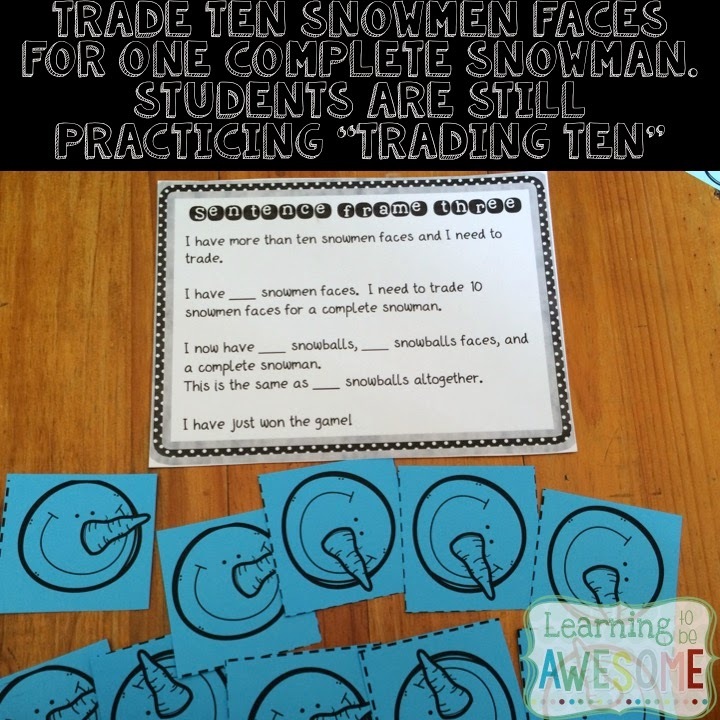 Students will learn/practice the concept of "trading ten" in this game. 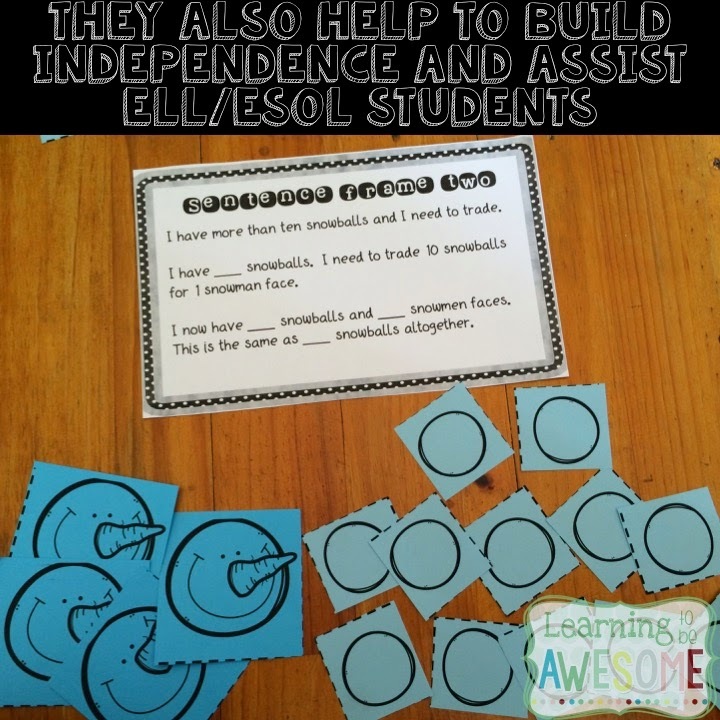 You can use these sentence frames to build independence, while ensuring that your ESOL/ELL students are able to play. Repetition is the key in this game. 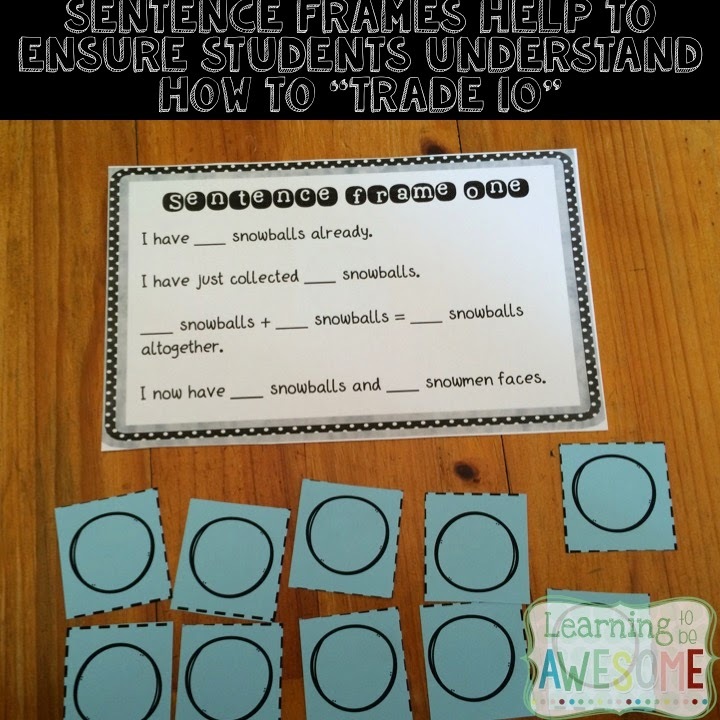 Students must say, and therefore hear, that they are trading ten ones for one ten. 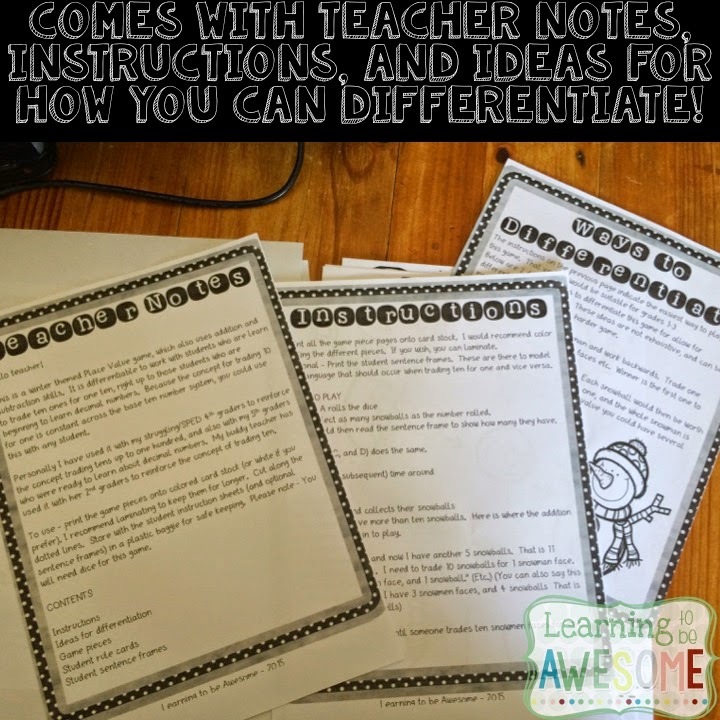 Easily differentiated to provide practice for those students who are moving towards learning decimal number place value. This game is super fun, easy to set up, and your students will love it! Right - now for the chance to win a copy!! Comment below with your email and what you are teaching in math this month and I will pick a winner on the weekend! Hey everyone! Have you heard of The Literacy Ladder? Well it's this really awesome group of teachers spanning grades K-6 who talk about everything literacy! 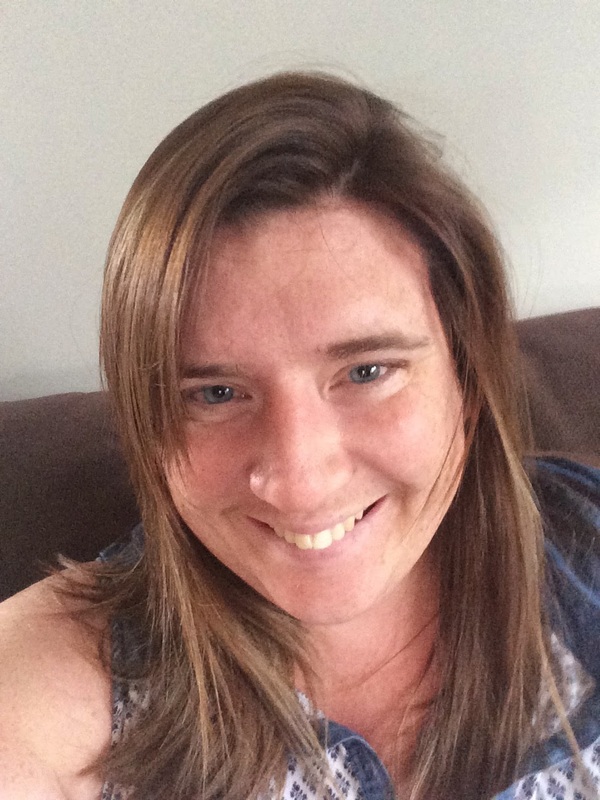 I'm part of this brand new group of pretty cool teachers, and am super excited about it to be honest! 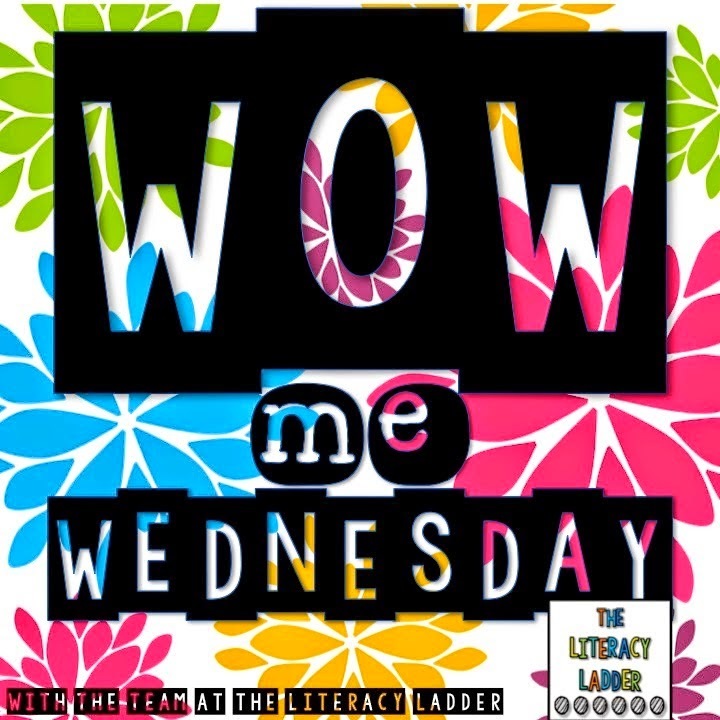 The coolest thing that is going on over at The Literacy Ladder is a brand new linky party called "WOW me Wednesday!" The idea is that you link up and share something - ANYTHING - that you think is wow worthy. So here are my WOW worthy moments. They aren't really school related, seeing as I'm on summer break at the moment! This is how he told us - Snapchat for the win! 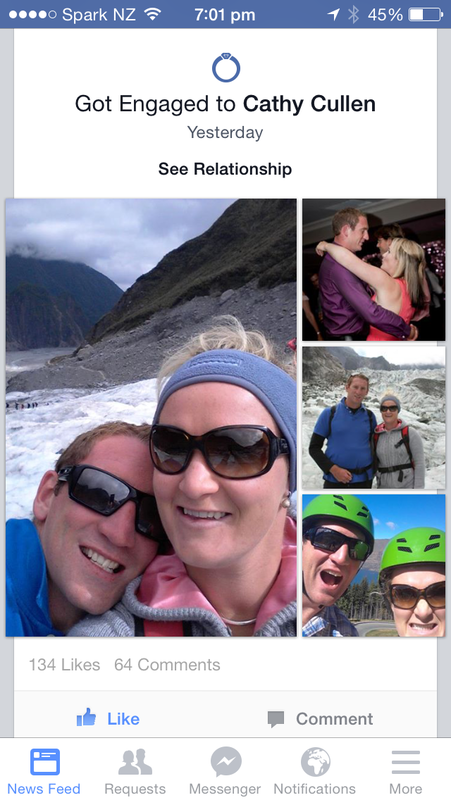 He's definitely picked a winner! 2. Summer has been awesome so far. 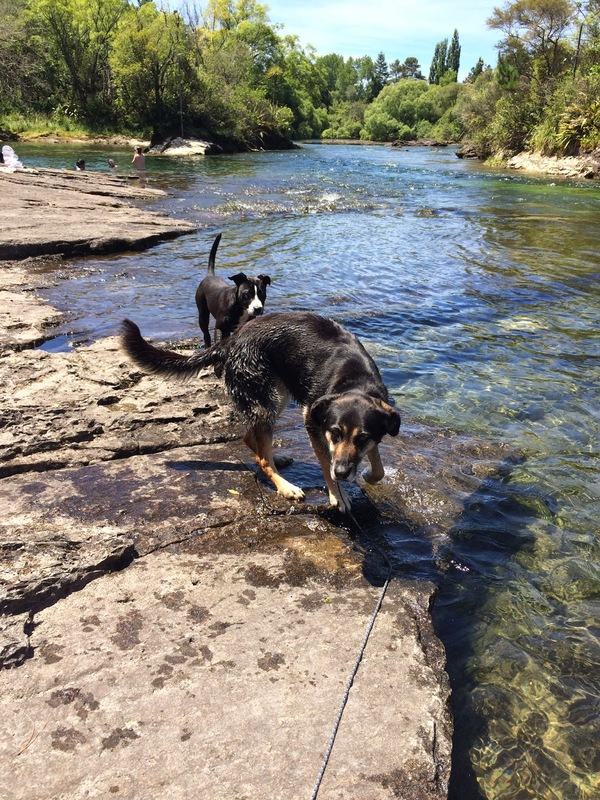 I've spent most days at the river swimming, and playing in the water with my pup. She forgets she knows how to swim every single year! 3. I got a hair cut! Gosh that was long over due. #nolongerablonde! 4. And finally for this week, I have a freebie for you! 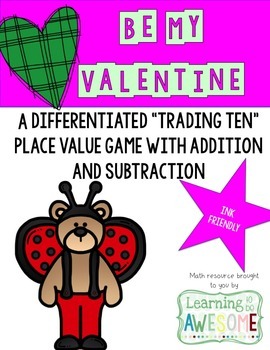 It's a bit early, but a Valentines themed place value game. I'll write a post about how to play properly later this week. For now, grab it, and enjoy it with your kids! There's a winter themed version you can grab HERE. Otherwise grab the Valentines themed game below! If you like it, make sure to leave some feedback! Make sure you link up, and check out what everyone else has been up to this week! There I was, just falling asleep after organising most of the files on my computer - side story, my 4 month old computer is running CRAZY slow, so I decided that the files needed to be sorted out. I'm done with everything except my own TPT files, and I'm really not sure how to go about sorting them out. So anyway, I finished what I was going to do for the night, and decided to go to bed, when I was nearly attacked!! There is a HUGE spider in my bed. I haven't moved so quickly in a long time! Oh my word he's trying to kill me. After trying to build up the courage to trap, or kill, or at least move the spider from my bed I decided it wasn't worth dying over, and so I relocated to the lounge. So here I am. It's 220am, and I'm completely and utterly wide awake. I'm pretty sure that spider is following me, and I can feel his horribly spindly little legs crawly all over me. I tried to take a picture... It didn't work - I'm pretty sure the spider broke my phone. He's evil. Hey friends! I should be asleep. I've got a splitting headache, but I can't seem to shut my brain off. 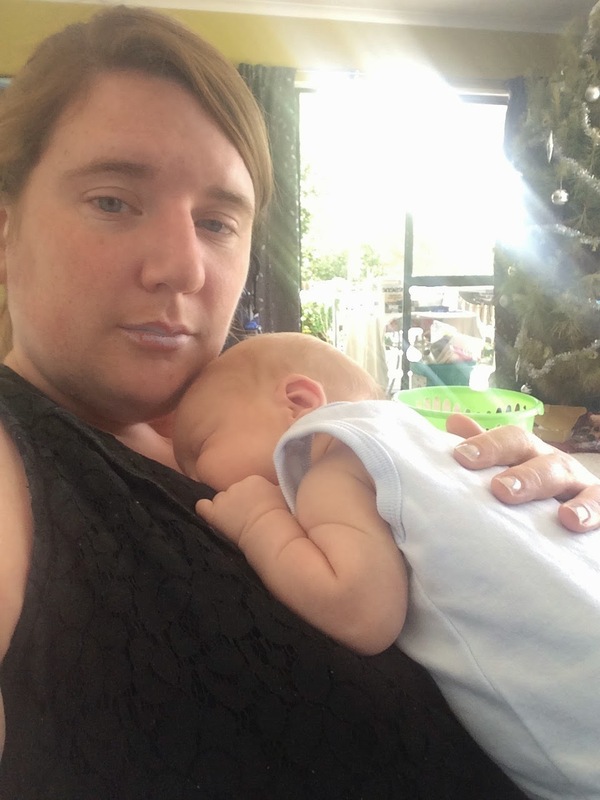 So instead, I'm writing my very first currently post of 2015! 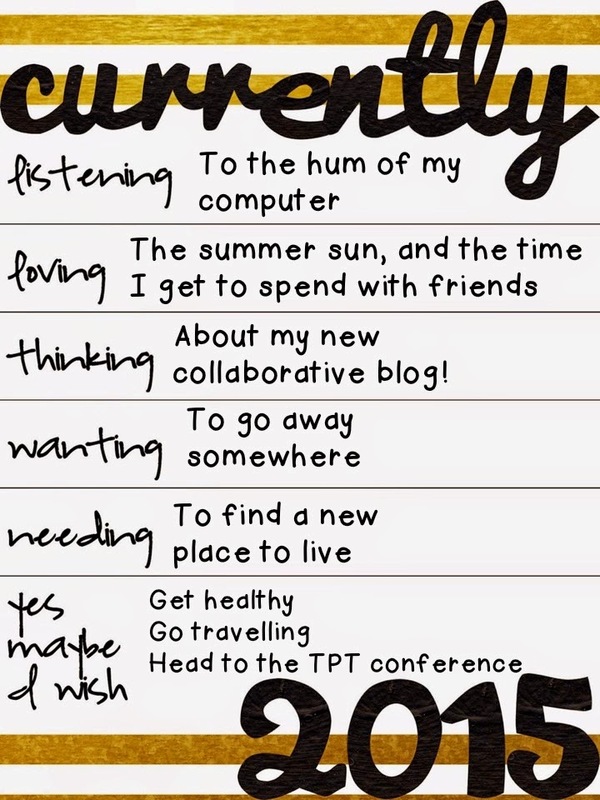 And also sharing some goals for the year - as seems to be habit on January 1st! First up - Currently with Farley. 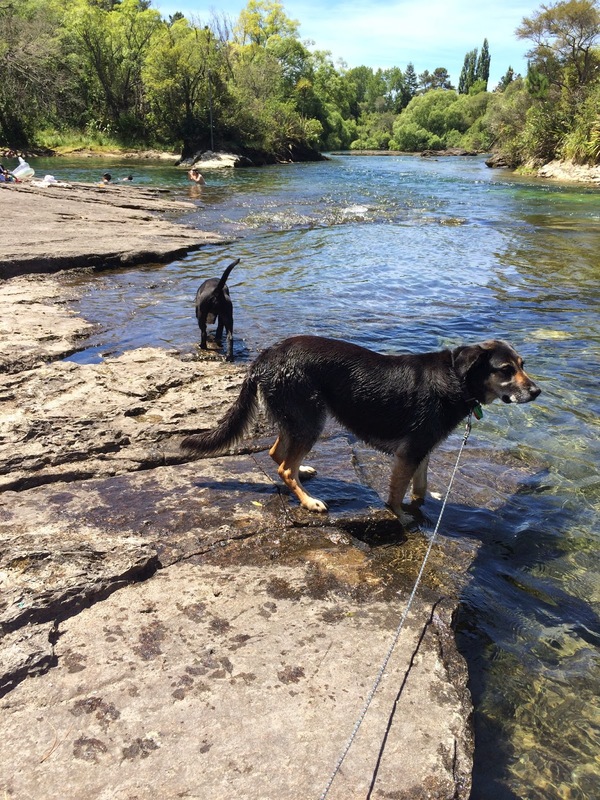 It's summer here in New Zealand, and I'm loving the relaxation that is FINALLY here! I had a really stressful year in 2014, and so I'm looking forward to creating a bit more of the old work life balance this year. Thinking - SUPER exciting news. 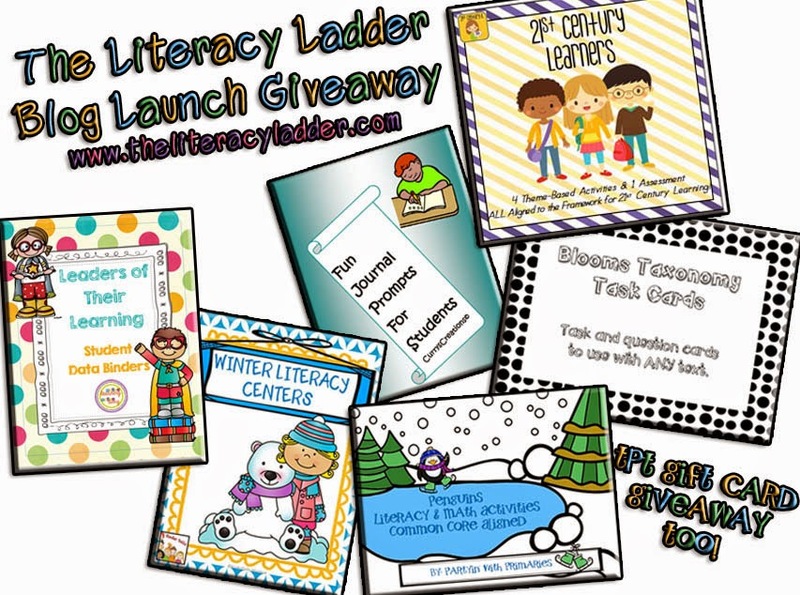 I've joined up with 5 other bloggers/TPT sellers and we have started a brand new collaborative blog called "The Literacy Ladder" bringing you literacy ideas across the elementary grades. Check it out here! And while you're there, be sure to enter the rafflecopter for your chance to win bit! YES - I will get healthy. Not just lose weight, but actually start eating better and exercising more. 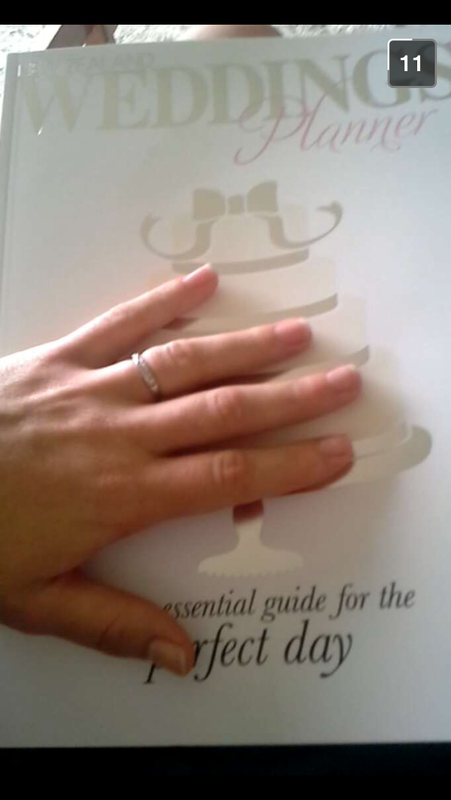 My brother is getting married soon (not date yet, probably October 2015, or March 2016) so I want to look good in the photos! I WISH - Oh gosh I would LOVE to go to the TPT conference in Vegas. It would be a dream come true! And now I'm heading over to The Third Wheel to share my 2015 resolutions with you! Most of these are pretty self explanatory. 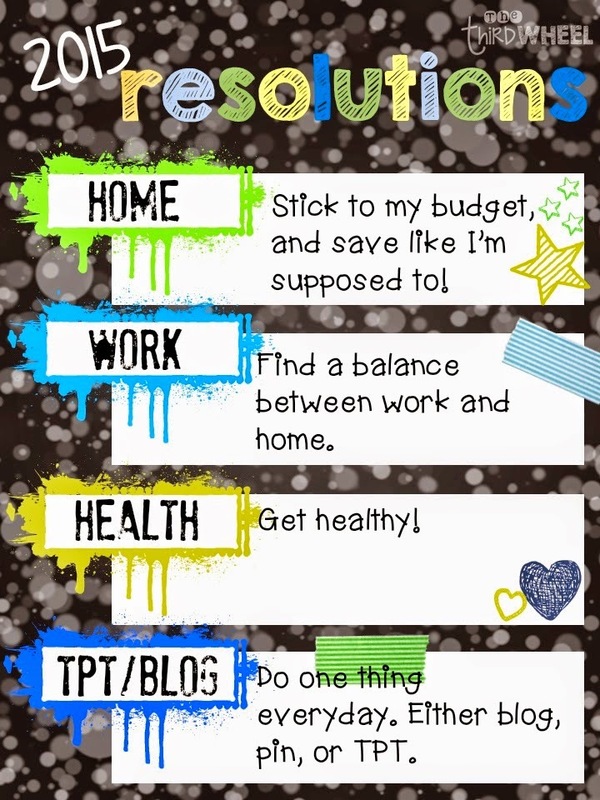 I just need to start prioritising myself! I hope you're all well rested after your winter break and that you are ready to head back into the new year with gusto! I'm starting to think about what my class will look like this year - at this stage I'm thinking a grey and yellow theme. 7 year olds like grey and yellow right? 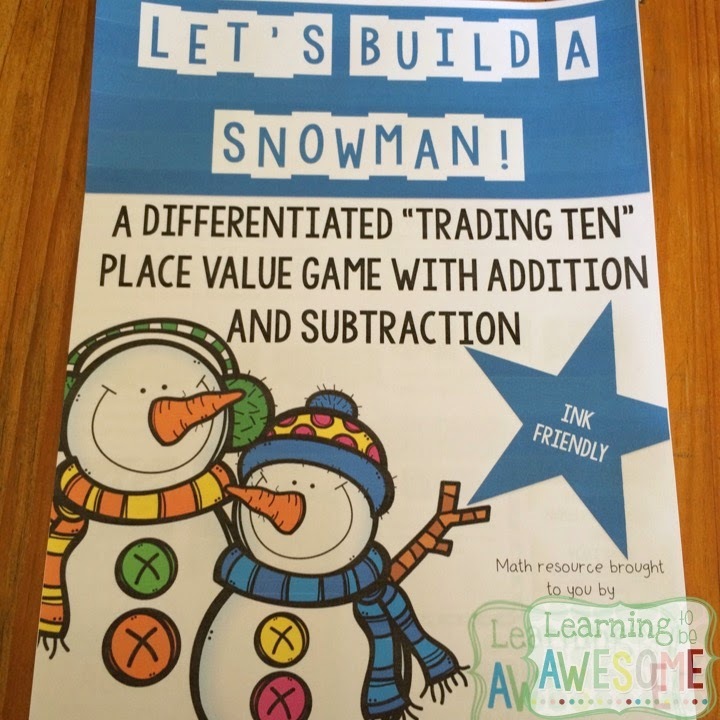 Place Value Fun - enter to win! I'm linking up all over the place!